Join us as we taste rums and sugarcane spirits from around the world in the rum market. Throughout the afternoon the leading authorities of rum in Australia will give individual presentations on the vast history and culture of rum, ron and rhum. Join us as we are celebrate the culture of the spirit that conquered the world. 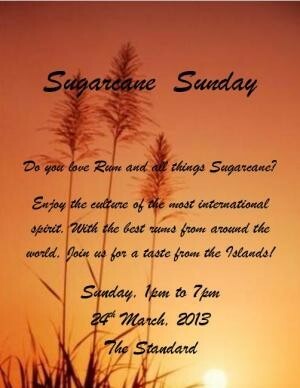 Sugarcane Sunday gives us all the chance to feel experience life in the Caribbean.